Over the last twelve months during our many presentations we have made one very brief mention of the Kariong hieroglyphs, and it has been our expressed intention to maintain that disinterest through continuing to look elsewhere. With over 100 sites and artefacts on our ‘books,’ the climate at this particular archaeological site is so acrimonious and spiteful and is simply not worth the grief to revisit. We are of the opinion the arguments over what the signs and symbols engraved into three sandstone walls are meant to represent have sometimes overstepped the mark and are premature. 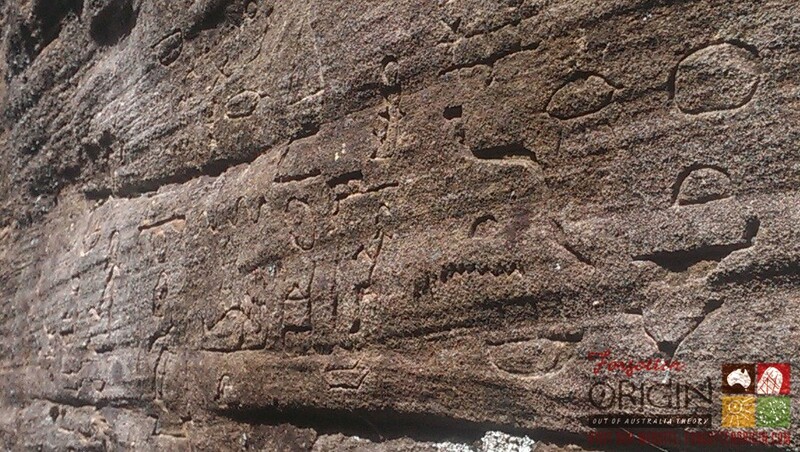 The three major camps who claim to have presented the legitimate translation of what was engraved on three walls have all missed a crucial point and ever-present reality, the credentials of the Kariong Glyphs have never been successfully prosecuted. Not a soul can deny that according to every Government department, academic faculty and media outlet, the 300 odd engravings are very recent and totally bogus. That’s it, end of story! All official channels have no interest in whatever these engravings could mean, simply because they are of no importance as they are a hoax. Until proof is presented that establishes the validity of this site, we can’t see why anyone would become so obsessed over attacking other interpretations insisting that their version is the ‘real deal.’ There has been talk of UNESCO intervening to register the site despite official intransigence, accusations of profiteering, altering artefacts, selecting poor references and outright misrepresentation, and this been amongst fellow researchers who all express a belief in ancient civilisations and an alternative view of ancient history. Our critics are far less spiteful and relentless, they simply dismiss us as idiots and arrogantly move on to more familiar pastures. The unpleasant reality is that even if one version was to be proven correct, all that means is that the deceitful and decidedly recent hoaxer created that fictional narrative and was familiar with ancient Egyptian hieroglyphs. At best it might win a gong as an ingenuous and elaborate ruse that could turn into a novelty tourist attraction, but according to all the experts and authorities that is as good as it gets. That is the current state of suspension, addressing the denial of the Kariong hieroglyphs’ authenticity is where any attempt to validate this ancient message from past civilisations must begin. Everything else is empty talk and merely after the main event. This first massive hurdle to clear has four anonymous prongs and until negotiated, there is no prospect of further progress down any lane. If scanning through official verdicts there are four possible culprits, all of which have been mentioned in official dispatches, and between them they stand united in refuting all other claims and every translation. The official excuses, in order of popularity, is a “deranged Czech” who was working on clean sandstone walls and adding a variety of Egyptian symbols, and was caught with a chisel in hand exiting the walls in 1975. The story goes he kept wandering back over the next few years adding more to this engraved mischief. Second in line is the end result of an official inspection by chosen academics in 1983 who declared many of the engravings were less than 12 months old, and that this was most probably down to the actions of ‘hippies’ or ‘new-agers.’ The next line of defense involves a group of unknown students from Sydney University who camped there in the mid-60’s and while on country created this deception as some sort of perverse academic exercise. The least used ploy has actually been wisely disowned by most of our critics, but still holds credence in some circles. Talk of a grieving WWI veteran constructing and engraving this testimonial to fallen comrades is weak, but the suggestion is still used to bolster the numbers. What is fascinating is that amongst the multitude of potential offenders there is not one actual name, a written and signed testimony of guilt or even rumours of idle boasts made at the pub or any other location. They do not have one actual person, name or statuary declaration. A sanctioned visit organised in 1983, the same date claimed by N.P.W.S. as to when they first became aware of this bizarre creation, was led by two academics who were selected to prepare a report which raised three objections. Understandably they felt talk of dates in the thousands of years is ridiculous because some of the cuts looked far too fresh to be the end-product of long-term exposure to the elements, and they are absolutely right. If always open to the wind and rain some hieroglyphs they look like they are barely 50 years old, as to being four thousand years old, no way! The ‘experts’ insisted that many of the hieroglyphs are barely twelve months old. Secondly, just as fundamental and correct again, the second and third wall contain many glyphs, perhaps half, that were not recognised as Egyptian by these experts, and in some cases identified to be an ancient script from other ancient locations. Once again their observations are sound, on the second and third wall we could only score a 44% match to Egyptian Proto-Egyptian hieroglyphs (the script claimed to be found continuously on all three walls by all versions). Their third finding was quickly allowed to submerge under the combined smokescreen, the suggestion that it was made in 1982 is offensive, as by that stage hundreds had already seen it. Even the mainstream first choice has a chisel cutting into the sandstone in 1975. Nevertheless, such is the accumulation of so many objections, minor inconsistencies like these soon become lost in the collective haze. That is one story, lacking in plot, names or a motive (beyond insanity) to spend weeks creating this charade, but there is another version of ancient events that has an Original inspiration. This non-fictional account is replete with filmed testimonies made by Original Keepers of Lore, a signed statuary declaration by lady with an actual name who is still living. The last full-descent Darkinoong Elder of this tribal estate, Aunty Beve, would have none of the lies. She was the custodian of this site and told us a much different story. 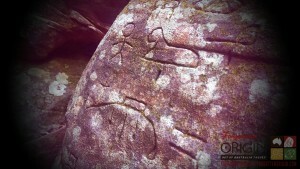 Aunty Beve was adamant that ancient Egyptians did engrave signs and symbols into the sandstone near Kariong. This took place with not only Original permission, it then became part of the history of the tribe and land and was cared for, from that time on, by the Original people of that tribal estate. Aunty Beve gave a practical example of what this custodianship entailed. She spoke of a custom that went back thousands of years, of a time each year when the women would make their way to these walls then carefully coat the engravings with their urine. For reasons and chemistry never understood by us today, their contribution helped in preserving the integrity of these cuts/engravings. But Aunty Beve went further, well beyond anything we heard before in relation to these hieroglyphs and the immediate surrounds, she made it clear that the Egyptian hieroglyphs are not only legitimate but much younger than an ancient Original engraved script which was also in the area. Of where that was she did not know, but the Old Ones made it clear that their writing is in residence and rock and much older. That truth has become a central theme in our research and extends well past Kariong and takes in the whole of this continent, and the world. Unlike the accounts of those who are claimed to be the perpetrators of this hoax, Aunty Beve’s words on this matter was not only recorded on paper, but filmed for You Tube (Egyptians in Australia-Part2). 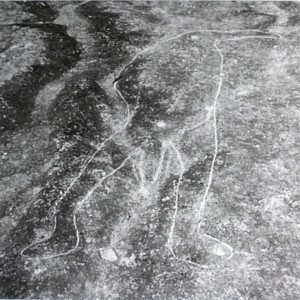 Another participant in that video who was also interviewed in relation to the truths about these markings is David Fitzgerald, and his explanation straddles both sides of the divide in providing more substance to the structure of the writings in rock and also contradicts some crucial aspects of the acceptable version of events. Unlike Aunty Beve, David Fitzgerald is still with us and intends to add some quite sensational detail to his previous account within days of this article being written. 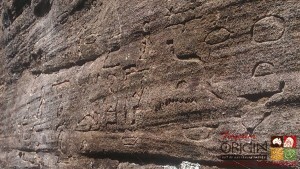 When David first heard talk of this enigmatic engravings he was employed by the Brisbane Waters National Parks and Wildlife Services and one of his briefs was to assist in protecting any Original artefact or site. The rumours kept spreading throughout the office and despite repeated requests to the Head Ranger, David was denied entry. That soon changed when David found an Original site of immense significance, photographed and presented the evidence and added a proviso. He would only take them to his site if they responded in kind and took him to the site so strictly guarded. So there he was just on sunset sworn to secrecy standing above the three sandstone walls filled to the brim with decades of debris. He could only make out the upper lines of hieroglyphs, there were so many branches, rocks and decaying vegetation that had fallen inside it was hard to see what this all meant. David was then told to supervise a team to clear out all the rubbish inside to get a clearer picture of what else was engraved and how far it extended. It took two solid days work before the walls were able to reveal the entire gallery and ancient narrative to the clear light of day. What David told us recently was that upon further research on his behalf he discovered that some of the rocks they moved away were originally part of a rock ceiling that actually enclosed and shielded all of the engravings from the elements. The upper section of the first wall has a roof and there still remains three, perhaps, four pieces of grey sandstone laying on the floor between the walls of the same width and alignment which could conceivably be part of a much larger roof above. We have in an earlier article provided a written testimony supplying details of such an event taking place in the early sixties or late fifties. Undeniably, this is a relayed anecdote with an approximate time-line and of itself cannot claim quotation marks in any academic journal, but it does confirm David’s first-hand experience and would explain why the glyphs appear so fresh. If indeed the gallery was sealed off with a roof, it is entirely feasible that the exposure to the sun, rain and wind that took place over the last 50 odd years is exactly what we are seeing today. Even if there never was a roof, David was most certainly clearing out tonnes of debris in 1978, as in instructed. And therein lays one of two elemental problems, according to official records the N.P.W.S. knew nothing of this site in the 1970’s. 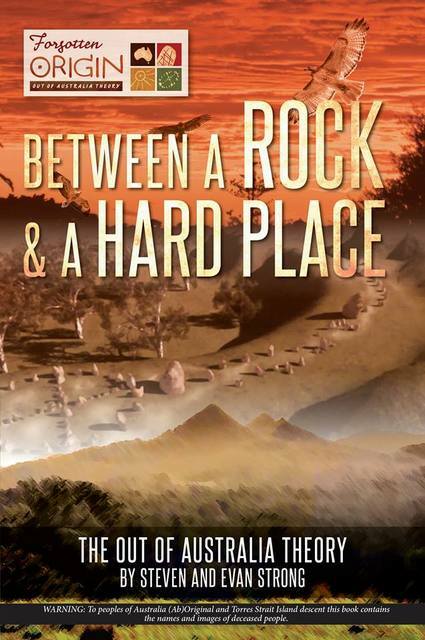 Official intimate contact at the rock face did not begin until the early 80’s, that is the official sanctioned truth, yet David denies this is the case. There is one lie floating in the ether and this suspension of the truth creates immediate collateral damage. According to many endorsed responses, the most popular option is of a person with reduced intellectual capacities freely sauntering between the walls in 1975 with a chisel in hand chipping at the rocks at his leisure. However, less than three years past that point the entire passage is crammed full with what was agreed at the time of removal by those employed to work in the park, to be the result of decades of fallen vegetation and sandstone. It is positioned on a ridge up high not in the valley below, and it is utterly beyond belief that so much litter could have accumulated in less than 1,000 days. David knows that, and so to do those who worked on the site in 1978. From that point on there was an orchestrated cover-up, but for now, if relying upon official channels the dates are wrong, the tonnes of branches, trees and rocks are wrong and one of two versions of this story is wrong. The second excuse on the reserve’s bench, is of an unnamed anonymous group of students acting in an incredibly unprofessional manner when making a fake gallery in the mid-60’s, was always a far weaker proposition. What compounds the offense in this flagrant act of stupidity is the supposed admission that a lecturer was complicit in arranging this appalling academic exercise. 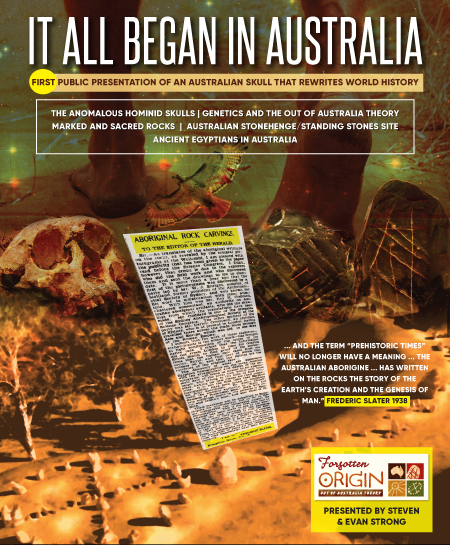 What also weakens the credentials of such a claim is that Egyptology, or any course with even a distant connection to Egyptian hieroglyphs, was never taught by any faculty in Sydney University, so we are off to a bad start in lacking the expertise to oversee and course to practice. Moreover, if it did happen, students in their younger years are prone to socialise and ‘loosen up’ with alcohol and sundry off-shoots. There is no rumour of an idle boast of responsibility, someone bragging about the stupidity of those who were deceived, and through all the fuss and arguments not one person’s conscience was stirred to come forward and admit culpability. No name or group or bubbled to the surface and pleaded guilty to an act that has no threat of punishment or prison. Yet on the opposite tact, we did publish an article based around a signed statuary declaration made by Nell Parker (who is also still alive), and she is adamant that she was taken to the walls with hieroglyphs in 1958 when a child of ten years. She was sworn to secrecy by her uncle and told it was not made by Original people. I think we can now dismiss the first objection raised by the appointed experts from the mainstream camp, the glyphs have retained much of their original line and precision due to a rock ceiling above that fell from above and a liberal dose of women’s urine to freshen it up. The markings are very old and exhibit a variety of technologies reputed never to exist in Australia until the British Invasion. But the second critique, that the walls display a mixture of ancient symbols remains and as it stands, automatically discredits any translation that insists that the whole gallery is one complete Proto-Egyptian narrative. Each of three interpretations have real merit and deserve consideration. Ray Johnson was the first to bring the glyphs to the public attention and he did liaise extensively with Egyptian authorities, particularly Dr. Abu Dia Ghazi. We have used his Proto-Egyptian manual as a base when trying to decode this ancient testimonial. We found when cross-checking the first wall we had 86% match, but the last two walls were far less compatible with a comparison rate of 44%. We ran into the same impasse the appointed academics confronted, as so many symbols just didn’t come close. Another academic, Dr. Hans Deiter Von Senff, acknowledges this inconsistency, but believes this is merely due to the cruder hand of a less than qualified scribe wielding his chisel. Apart from being unable to be substantiated, it doesn’t make sense. This was the very first journey to this distant southern continent, the ancient Egyptians had an undeniable sense of occasion and were fastidious in recording details. For such an event, if there were two of the Pharaoh’s favoured sons aboard, the idea that they could not bother to dispatch one capable scribe to record this historic moment, is difficult to accept. This explanation has reappeared on more than one occasion and is both illogical and needs some solid evidence. The Khemit School have proposed a different version and the people working on the glyphs are assuredly qualified to do so. The video of their translation makes some very strong points in regard to structure and sequence of glyphs that could only be known by someone highly versed in this ancient script. They also focus heavily on the first wall and are more selective once leaving the safety of the smaller passage. Again the academic credentials are impressive and even more so when bearing in mind the degree gained in Egyptology was awarded in Egypt. Although we differ in our takes of the last two walls they have never found the need to make any criticism of our differences, and we do appreciate their civility and the way they conduct themselves. The third proponent (Colin Hayter) made contact with us some time ago with his alternative translation and we suggested that the first step was to make a You Tube on site presenting his theory and reading, then follow-up with an article that is fully referenced with all sources open for inspection. We have always made it clear that the opening passage of his translation does resonate and have openly encouraged Colin to do as Khemit School and Ray Johnson did in putting out a referenced article that is fully sourced. Until that fundamental first step is completed, we feel that despite our empathy towards his introduction, his work is of a lesser stature than that of Johnson and the Khemit School. What needs to be appreciated is that ancient Egyptian hieroglyphs are contextual and the manner in which the opening section is read has a direct influences in the choices made thereafter. All three accounts begin on different paths and separate even further as approximations and accommodations are made as the narrative continues. The problem is and remains as follows, a large portion of the hieroglyphs on the second and third wall do not belong to any Egyptian script. We are not Egyptologists and make no claim to be able to do anymore than read between the lines and seek out general rules. On these walls it has been often said that two scribes were plying their trade, and after over 20 visits on site we tend to agree. We feel that the first wall which is still protected by the remaining ceiling is most certainly Proto-Egyptian, while the second and third walls are much older and relate to another story with much older players and beings. That alone explains why the comparison rate halves on the larger walls. If we are wrong and as we are not experts that may be the case, then the objection made in relation to the jumble of different styles is still valid and unanswered. As we have said many times, establishing the authenticity of this contentious site is the highest priority, what it means is irrelevant unless it is agreed to be genuine, and nothing matters past that denial. The reality is there will never be an agreement or consensus on what was engraved, and the truth is that whatever it does mean is of little consequence. The elemental part of this exchange is that an ancient civilisation was present and engraved for in country using tools and technology supposed totally absent from this country until the British Invasion. The real question is not whether ancient Egyptians sailed so far and risked so much, but why they came. It makes no difference what category the glyphs are placed, even if they are denied their right to exist at this site, the Egyptians were in this country for a very long time. There is not one Original Elder we have spoken to who is versed in the Old Ways that has not agreed with this truth, but unfortunately no-one in ‘high places’ is listening. Even if, and this will never happen, it is conclusively proven that the hieroglyphs on the three walls are bogus and none of them are Egyptian, that is merely one down and dozens more to disprove. There is ancient Egyptian evidence and artefacts scattered all over the country, with a sizeable accumulation of such archaeology located in the area in and around Kariong. All of this evidence was written about some time ago, but in setting out a general background and informing many who may not be aware of the overall Egyptian influence or have not read our earlier articles, there are nine examples of archaeology found very close by that exhibit a decidedly Egyptian flavour. An engraved Egyptian Ankh, claimed by an ex-Senior Park Ranger with credentials in geology to be at least 10,000 years old, is engraved into a nearby rock platform. Until now the Ankh has always been a distinctive Egyptian icon solely associated with the revered God of Knowledge, Thoth. Knowledge of the God of Wisdom and many associated Egyptian myths is claimed to have originated in Egypt about five thousand years ago, but this engraving, which was certainly the oldest on the platform and most difficult to photograph, is claimed to be twice as old. 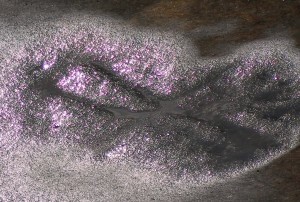 And what only confirms this cross-continental connection, is an engraved footprint of an ibis beside the bottom staff of the Ankh. Barely two centimetres separates the one of the two recognised animal totems and iconic symbol of Thoth. Thoth is a common motif, not far away is something that is as literal and explicit as an ancient chronicler could be in detailing the Australia precedence and narrative of Thoth. The engraving of a half-person/ibis head in profile, which is a very distinctive Egyptian pose, may seem unusual in such a distant continent, but not far away is yet another extension of Thoth’s persona and totems. At this rock platform Thoth is not only again depicted in profile, but is wearing an elaborate Egyptian Headdress and bearing what looks to be an ape-like face (his earlier totem). The elongated forehead, lips and headdress seem to add substance to our suspicions, but the next addition to the local archaeological stock-take defies coincidence, vandalism or any other lame excuse. From our stance this ancient liaison and sharing of archaic wisdom was ticked off as assignment completed once viewing another rather striking rock engraving of a close to life-size depiction of a person adopting a rather rigid and markedly formal stance. The stance adopted is an exact replica of the Egyptian hieroglyph God of Inheritance, and we cannot think of a more appropriate location to be engraved than alongside the God of Knowledge-all originating in Australia. What certainly would appear to also be a construction that seems to be another Egyptian creation is located close to the glyphs. 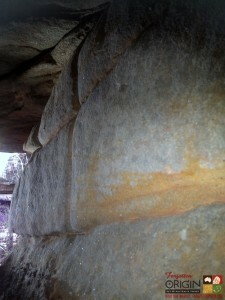 But any simple site inspection will inevitably lead to an appreciation of the logistics and engineering needed to reposition this massive sandstone slab supported by three walls and the absolute improbability that anyone would even begin to consider building anything at all on such on a severe slope. It is actually dangerous to move anywhere once outside the confines of the entrance and inner walls if not on all fours, if you trip or stand and overbalance you will die. The three walls of rocks were cut, formed and stacked with incredible precision. The joins are paper-thin in width and so reminiscent of the ancient walls of South America. They all lead towards a gallery of considerable length that can only be accessed for about 15 metres before becoming too narrow. The process of collapse and decay is accelerating as the walls above are much heavier and gravity is taking hold. Nonetheless, the technology needed is of the highest sophistication and seemingly at odds with what is supposed to present on country until the British Invasion. What is a striking feature is that the most intense area of engravings and unusual archaeology seems to be near and around the Kariong hieroglyphs. All around the glyphs are a multitude of star markers, thousands in fact. At one rock platform barely two kilometres away there are close to one thousand engraved star markers, the immediate area is literally raining stars. 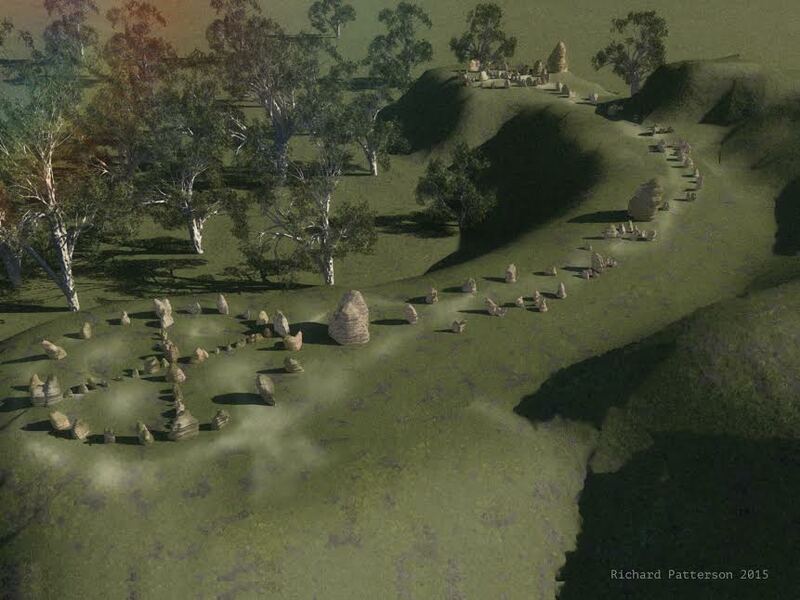 The very closest set of engraved star markers, directly above and to the left of the three walls, has a set of engravings marking out the night sky that was not only recognised by computer software used by Sydney University, but dated to be over 4,600 years old. Another part of that inner circle of archaeology contains what is the fatal flaw in every bogus theory. Every claim of deception is predicated upon one location and one crime scene, never was the allegation made that the three walls festooned in hundreds of make-believe symbols is but one of many places where this ruse was engraved. That being the case, and it is, what are we to make of two columns of hieroglyphs totaling no less than thirteen, that are separated by rock formations, some distance from the glyphs and is almost impossible to see? No-one ever said this charade was a multiple offense carried out at a variety of locations. 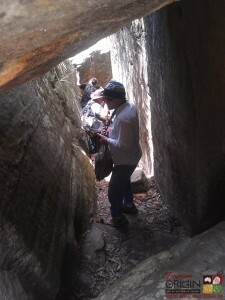 We already knew of and had investigated the artificially formed ten metre underground tunnel that runs behind and beneath the highest Egyptian wall. It is unnatural and no-one has ever claimed otherwise, in fact even the N.P.W.S. have provided a token explanation, as per usual couched in an anonymous collective, in blaming “vandals.” Once again when another example of challenging archaeology is unsurfaced the official response tendered is lacking in a name, date or sensible reason for spending weeks excavating, forming and clearing tonnes of sandstone debris for no apparent reason other than to play a trick. The last step in our ancient journey finds us between the walls with two artefacts in hand and question. When Original Elder Aunty Minnie Mace was accompanying Ray Johnson when on site she sensed something was there waiting for her. There is a very good chance that the ancient bone identified as human and metal jewellery with a circular clasp are both Egyptian. 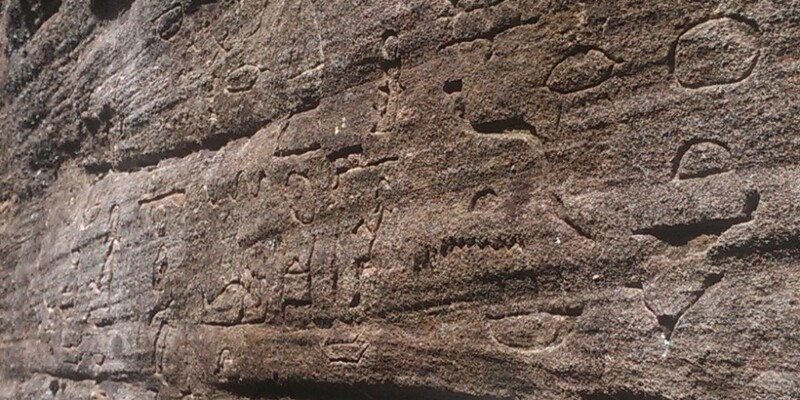 There is no doubt that ancient Egyptians were permitted to stay in Australia for a long time, but there is a contrived uncertainty as to whether they were responsible for some or all the Kariong Hieroglyphs. Until the issue of fakery is resolved, irrespective of how duplicitous and tenuous the allegations may be, where is the point providing the content until the context is established? We have to be brutally honest, at the present state of disrepair who cares what it means? It could all be Egyptian or partially Egyptian, either way it all amounts to nothing if it is officially proclaimed a bogus exercise. Everything starts and stops at that rotation point, and moving past the argument of authenticity is counterproductive. As far as we are concerned it all comes down to what we know and what we have been told by people of impeccable Original pedigree. 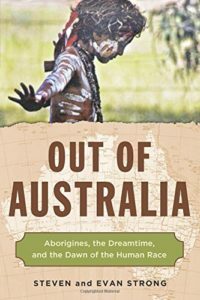 Every Original Elder and Custodian of the Old Ways we have met is adamant ancient Egyptians were in Australia with consent for a long time. Equally there is an abundance of Egyptian archaeology all around the Kariong site. We have been told by two local Elders of high degree that some hieroglyphs are Egyptian and have presented Original proof to substantiate their claims. From our perspective it is all the same, what we have discovered and what we have been told are all parts of the same ancient story. As to the exact details, individual players and specific incidents, that must be put aside for another day. The first task is not to squabble and accuse those traveling down the same path, but to prove that there is a convincing alternative that is in open contradiction with virtually the entire mainstream version of humanities past, history and evolution. Once that not inconsequential hurdle is negotiated then is the time to debate what the hieroglyphs mean, but before that victory for Original common sense takes place, it would be better to say nothing else rather than fight in the sand-pit over what is written on the plastic bucket. From my understanding no Egyptologist has been invited to the site. And to become an Egyptologists one can only be awarded as such in Egypt. If these are not jumbled glyphs from different dynasties then the Egyption museum would be able to verify and interpret the message. Why haven’t they been able to. My name is Brad and may be able to assist in this ‘mystery’. My email is supplied and happy to exchange further details once contact is established. 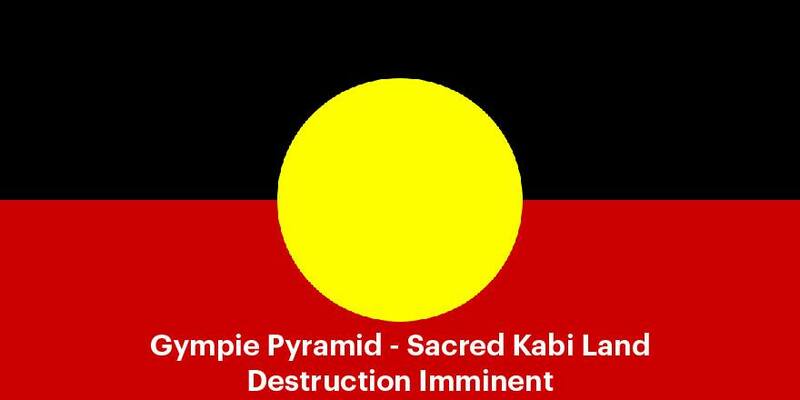 I am a Murri from the Gamilaroi people. Keep subscribing to the 4000 year approximate and being from Egyptian glyphs. You are on the right track. Finally, I am fully aware that some of these discoveries can cause division but truth always comes to light. I am of European background but was quietly told about these markings in the 80’s by an elder, who felt that I had earned the right to see them and I felt lucky to find them. I remember taking an unmarked track just off the main road near some Gymea plants. It was pretty awesome. Apart from the ‘glyphs’, I mainly remember the carving of the ship. I’d love to know more if you have time. I’d really like to learn more if you have time.